So, you threw a wild party at your parents’ place on the weekend, and someone bumped in to their sideboard with a chair? Or maybe they dragged a footed tray of canapés across the coffee table, leaving tracks that could impress an F1 driver? Then you need Aussie Furniture Care – a range of maintenance products developed specifically for beautiful wooden furnishings. Whether you need to return shine to a cabinet, buff out water marks on a dining table, or remove a build-up of dirt, there’s an Aussie Furniture Care product for you. With its delectable citrusy scent, this Orange Oil Furniture Polish will impart a lovely aroma in your home as you polish your wooden furniture to a natural lustre. 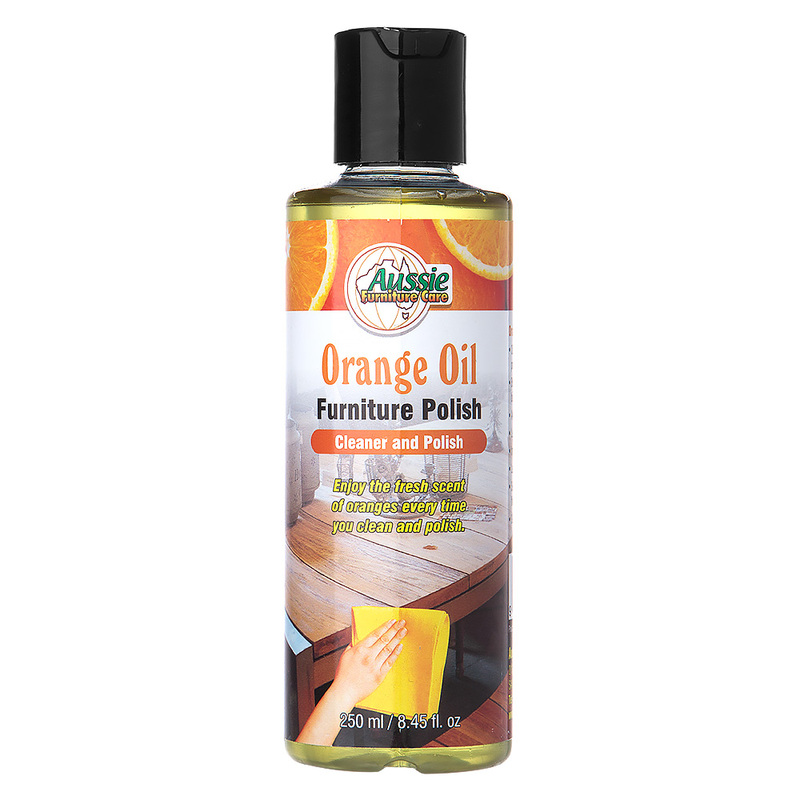 And not only will it polish, but this Orange Oil will clean as well, breaking down the dirt and wax build-up on wood furniture. Leaving no oily residue (despite the name! ), you’ll also find this oil great for removing sticker residue! Breaks down dirt and wax build-up on furniture. Imparts a long lasting shine. Leaves the fresh scent of oranges. Suitable for polished and oiled finishes on wood. Great for removing sticker residue!